Quiet Walkways in the Great Smoky Mountains National Park, often overlooked by the traveling motorist, hold some of the Smoky's best kept secrets. They are generally unmarked except for a small sign proclaiming "Quiet Walkway" with a note that follows indicating the joys of quiet walkways. 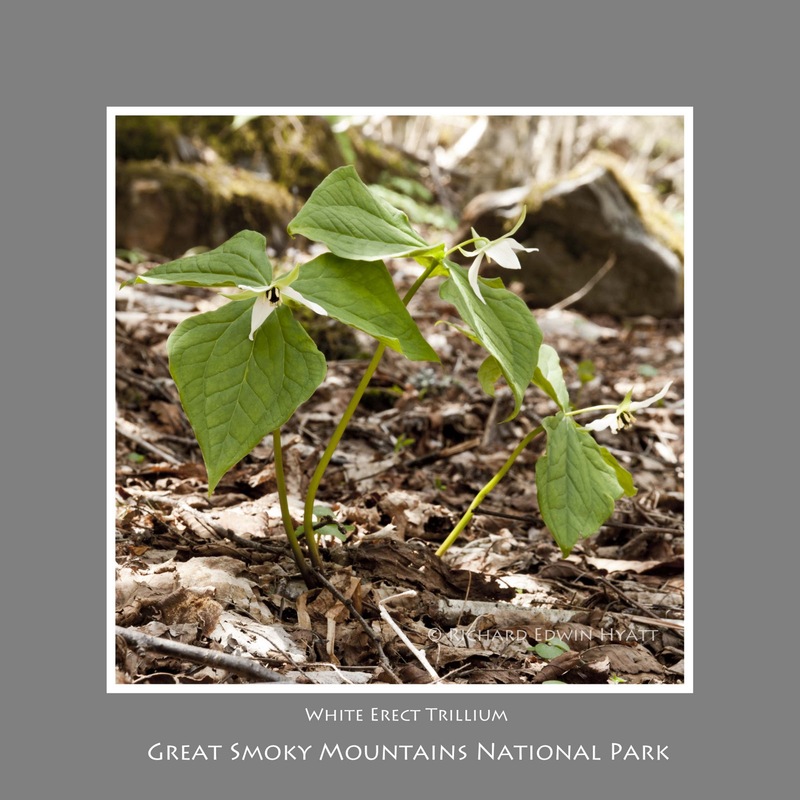 On the right is shown a clump of White Erect Trillium found on what we call the "Peachtree" quiet walkway. I believe this is part of the Indian Gap Road which is runs right up to New Found Gap these days. It didn't historically go by the present New Found Gap but, ran west of it over what was called Indian Gap. More research will need to be done on my part to confirm that. 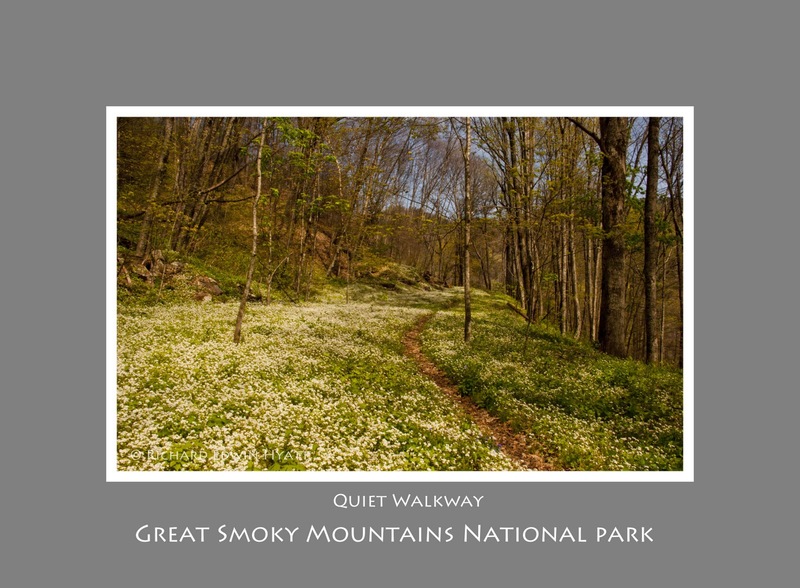 Whatever, it is an easy wildflower walk in the spring. 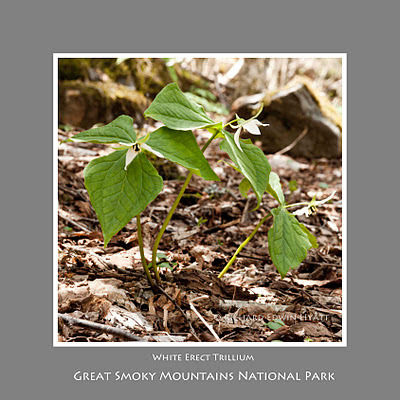 I once asked at the Oconaluftee Visitors Center where I could find Trillium. The answer, "Everywhere". It was likely the best answer at the time. I have found many trails that lead to Trillium beds. But Trillium wildflowers are not the only ones. The "Peachtree" quiet walkway has an abundant show of Fringed Phacilia. This tiny flower is often overlooked except to be seen as the beds as shown on the picture below. However a close up view will with your eyes is very worthy of your hiking endeavor.